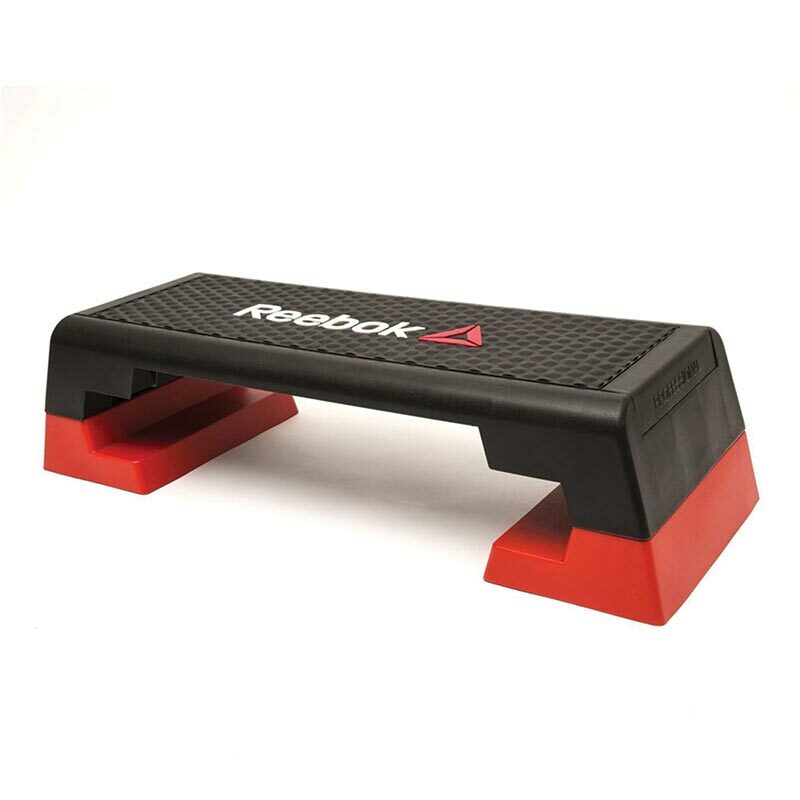 Reebok Professional Step System - Three piece construction, non-slip floor blocks and rubber moulded platform provides a safe surface to step on. Adjusts to three training heights with unique interlocking block positions. Size: 900 x 350 x 150/200/260mm. Heights: 150mm (6"), 200mm (8") and 260mm (10"). Max user weight 21 stone. excellent stepper and the service equally excellent . Iwould certainally give this company my future business. I'm no lightweight and my personal trainer recommended both the newitts site& the reebok step. Its sturdy and enables me to undertake all the exercises necessary. Good value and definately built to last. Good quality, sturdy step, exactly as described. Prompt delivery. Does exactly what it needs to, very steady and firm. Knocked off a star as doesn't go as high as I would like but great product! Purchased for home Body Pump sessions. Excellent. Just like the ones at the gym. Really good value and efficient service from Newitts. Free postage was fab! Happy with this. I am 19 stone, don't know how many kilo's that is because I am old school. I needed something strong and sturdy and I found It has the quality of the type of exercise steps you get in your local gyms. It's early days but I have a feeling this step is going last for years and years. Great price too, I seen one on Amazon very similar but it was much more expensive than buying this one directly from Newitt's. Would recommend very highly. Item was exactly as expected, it arrived very promptly and was well packaged. It has helped strengthen leg /calf muscles to support knees. 5 out of 5 Great item! I use this in all of my PT sessions! It's a great addition to my training programs and the quality is exceptional. 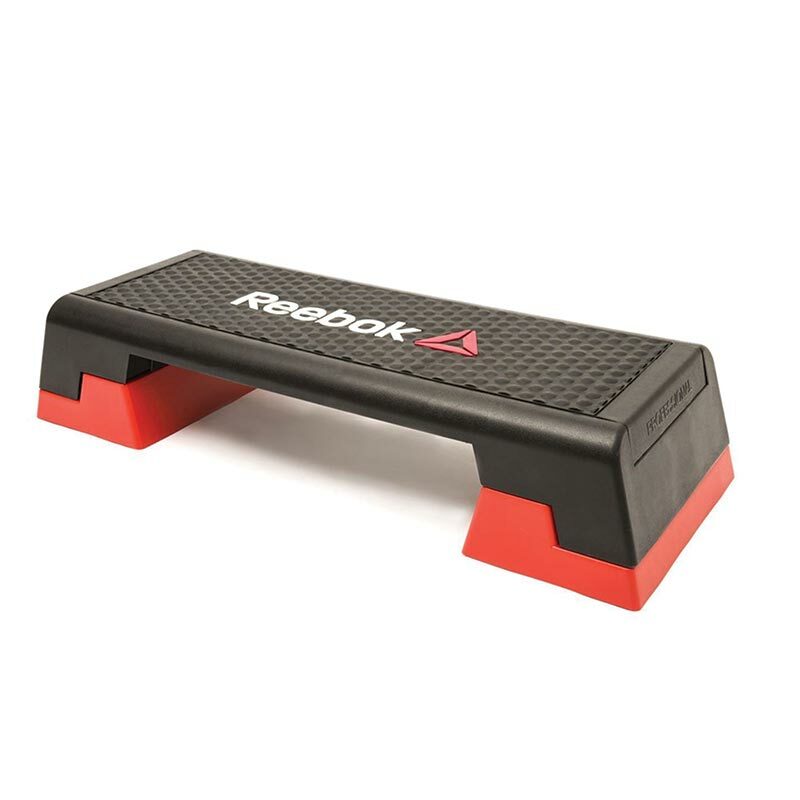 The new style and colour of the Reebok steps look excellent and all instructors and class members have made very positive comments. This is the same step that the gyms use. More expensive than the cheapest versions you could buy, but there is a reason for that - this is bigger, stronger, solid, and non-slip. Worth every penny. 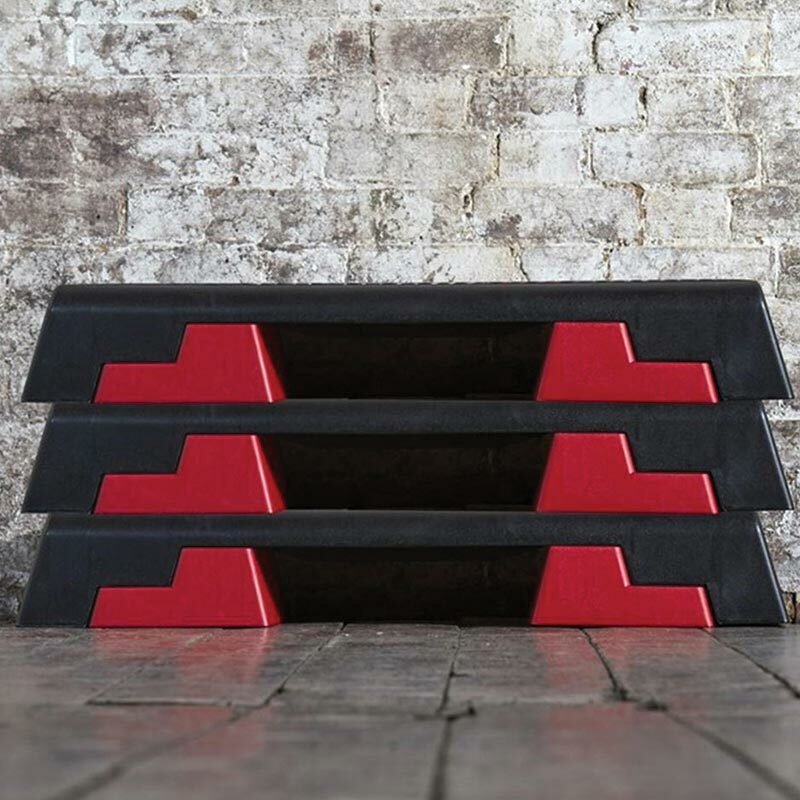 Great price, great quality step and fast delivery highly recommend to anyone wanting a gym quality step for in the home. Great full size, very safe step which gets used everyday. It's bombproof construction enhances the feeling of confidence in use. This newer version of this classic is improved. Grippier surface as opposed to the older ones I've used at the hospital gym. Highly recommended. Also Newitts service and prices are spot on. Brilliant stuff fits in well to a new business venture. Hope to have many years of joy and pain !